Welcome! I’m so glad you decided to learn more about essential oils! Looking for more energy, better mood, less feelings of overwhelm, sleep improvement, a healthier life, seasonal relief, a better balance to your body systems, and toxic free solutions? Then essential oils may be the answer to all of these needs! 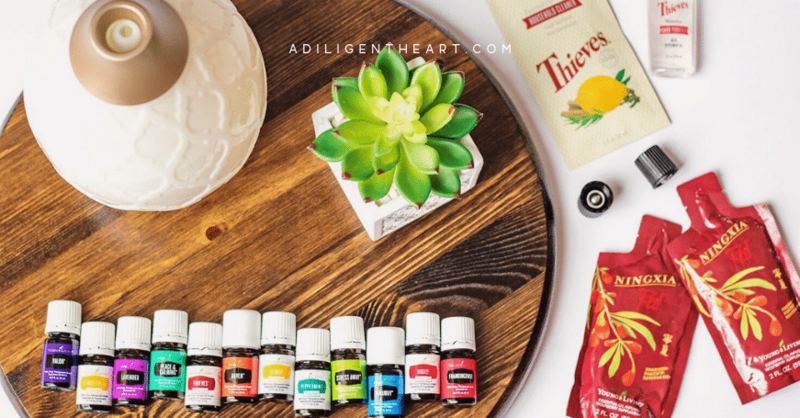 If you’re on a journey to a healthier, more natural life – essential oils are something you’ll want to add to that journey! If you were like me, you’ve tried oils from other companies before, even ordered some from Amazon that had great reviews. But, they didn’t quite meet your expectations. Sure, oils are great for making things smell nice – but we don’t just want nice smelly things – we want to benefit from the plants healing properties. After doing some research, I learned that oil brand matters because not all companies create their oils the same. Sometimes fillers are added and other times they source their oils from questionable manufactures. And where they grow their fields matter! Young Living has farms all over the globe, which is why they offer so many great varieties of the best oils on the market. You can even visit their farms! They also take this very seriously share more about this in their Sead to Seal message. They own their own farms around the globe because let’s get real- in order to offer so many wonderful oils, you have to grow these in the regions the plants would thrive in best. This also means it’s always them who oversee what is being done – they aren’t just ordering stuff from random factories around the globe. Their oils are safe for ingestion- check out their Vitality line. CLICK HERE TO BECOME A WHOLESALE MEMBER! First, what are oils? They are concentrated plant extracts that retain the essence of the plant they were sourced from. How are oils used? Essential oils are used in three ways: through aroma, through topical application, or through consuming them internally. This is why you catch a whiff of something and you are suddenly reminded of a moment that happened decades ago (2, 3). The limbic system also plays a role in affecting some other things such as breathing, heart rate, blood pressure, and physiological functions. You can benefit from aromatic use by adding a few drops to your hands and then just breathing that in by cupping your hands around your mouth and nose as you inhale. You can also add a few drops to your diffuser and fill a room with the beautiful scents you added. My first love was blending Lavender and Peppermint. I adore the combination of these two in my diffuser. Our brains react to smells in ways we don’t always recognize until afterwards. That’s why it’s important to choose your oils well- you don’t want to expose yourself to junk. Instead, you want to expose yourself to the best quality you can. That’s what you’ll get with Young Living Oils. Topical use, probably the most common way to use oils, is when you apply the oil to your skin. When applied to your skin, you are allowing your skin to absorb the properties of that oil. Though applying topically, you also still reap the benefits of aromatic use. Depending on your goal with the oil in use, you apply it where needed. Some oils work best for you when applied to your temples, neck, behind your ears, etc. Others work best when applied to your forearms. That’s why it’s beneficial to be in touch with someone who can help guide you along the learning process. And others, that may help improve the appearance of your skin, such as Frankincense or Tea Tree, work best when you apply it all over your face. Some oils are pretty potent, so using a carrier oil helps adjust the potency. And this varies person to person. For example, some of my family members can use Thieves straight on the skin, but others in need to dilute it in a carrier oil. It’s a hot oil, so different people react in different ways. Internal use of oils is the third way that oils are used. This is where it gets super important to be sure you are using top grade oils. Thankfully, if you’re using Young Living you’ll be set in this area. Less is more with internal use. You can always try an extra drop the next time you use an oil internally, so you can gauge how you reacted the first time. I say less is more because since this is something you’ve put inside of your body, it’s harder to dilute it once it’s in you. With Young Living, the oils that are labeled Vitality are meant for internal use. You can use their Vitality oils topically or aromatically too of course, but these are the labels you’ll want on the oils you use internally. I love this about them-it makes it super easy to know what can be ingested and what can not. Usually, people add a few drops to their morning tea. I like to add a drop or two of Thieves to my tea when I’m fighting seasonal things or if I’m a bit under the weather. Lemon makes for a great tasting tea too! Kids Products (called KidScents) of oils, supplements, and more. Baby Products (called Seedlings) of oils, wipes, diaper cream, and more. Did you know that you can build your oil stash with quality oils, save loads of cash without having to sell anything to anyone? 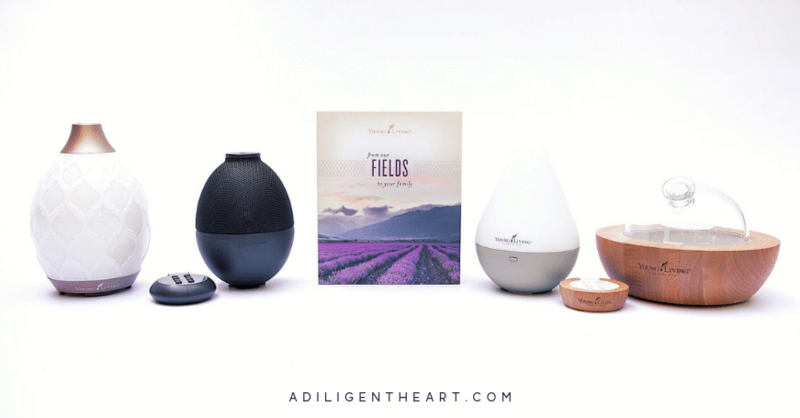 I started by signing up as a wholesale member and selected their Premium Starter Kit with the Desert Mist diffuser. They have other kits – so your sign up doesn’t have to be oils + diffuser either! 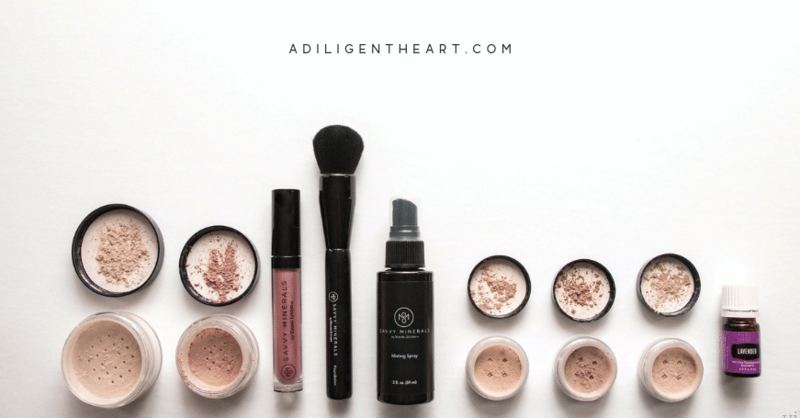 Some kits are of makeup, others are of household cleaners, and others are a combination! So depending on where you are on your healthier lifestyle journey, there’s a kit and loads of products for you! Here’s what you get in the 2019 Starter Kit! There are three other diffuser-included-kits in addition to the one above. 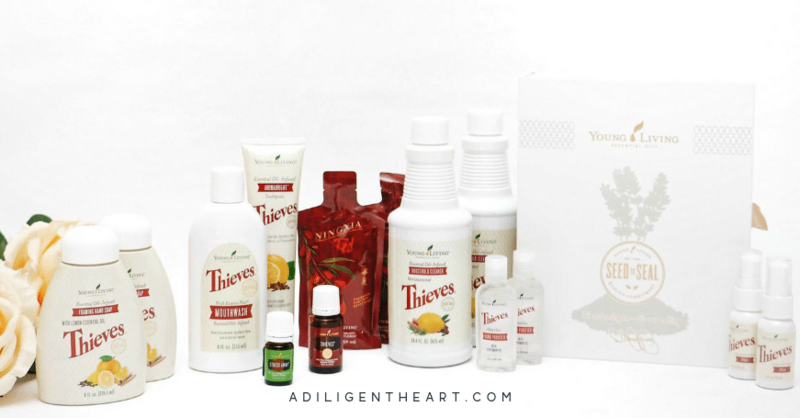 Each one is included with the same list of oils and prodcuts as above for the 2019 Starter Kit. These are listed in ascending order based on cost. From left to right in that photo above: Desert Mist, Rainstone, DewDrop, Aria. settings include: high, low, and intermittent. High is continuous for five hours, low is continuous for 8 hours, and intermittent is for 10 hours. 10 led light color settings, and you can turn the light off if it’s too bright when you’re sleeping. you can select MUSIC to play through the diffuser! They even have some SUPER cute one for kids. Like a Dino Land one, a Dolphin Reef one, a Sundance (has a horse) one. Super cute! Their Lantern diffuser is GORGEOUS too! As I mentioned, you do not have to start with actual oils and a diffuser. Young Living has lots of wonderful products! Here are the other kits available when you sign up for wholesale benefits! Complete home and personal care kit! These are infused with the super yummy, spicy aroma of their Thieves Oil! So great to kick start ditching harmful chemicals in the home and replacing them with amazing and natural alternatives! A blend of wolfberry, super-fruit juices, and pure essential oils! Ready to benefit from wholesale pricing? Remember, it’s 24% savings when you sign up and you don’t have to sell anything to reap the rewards! If you are wanting to start adding oils to your daily routine, you not only SAVE money (24%) by just simply signing up as a wholesale member vs shopping retail pricing — but if you also sign up for Essential Rewards, you also earn points each month with your order. Points are basically Young Living credit to use towards their products. They add up, fast! What’s the Essential Rewards Program? Essential rewards (ER for short) is like signing up for a subscription service, kind of like being on Amazon Subscribe and Save. You also get a percentage of your order back as points and freebies every month. The longer you’re on this program the more points you earn back each month. BUT – you do NOT have to be on this program in order to reap the rewards of wholesale pricing (24% saving)! I think it took me a couple of months to sign up for ER. I wanted to get a good feel of the oils that I got in my Starter Kit and test out some other ones I was really interested in like Progessence Plus Serum (specifically formulated for women to help support our unique female systems). 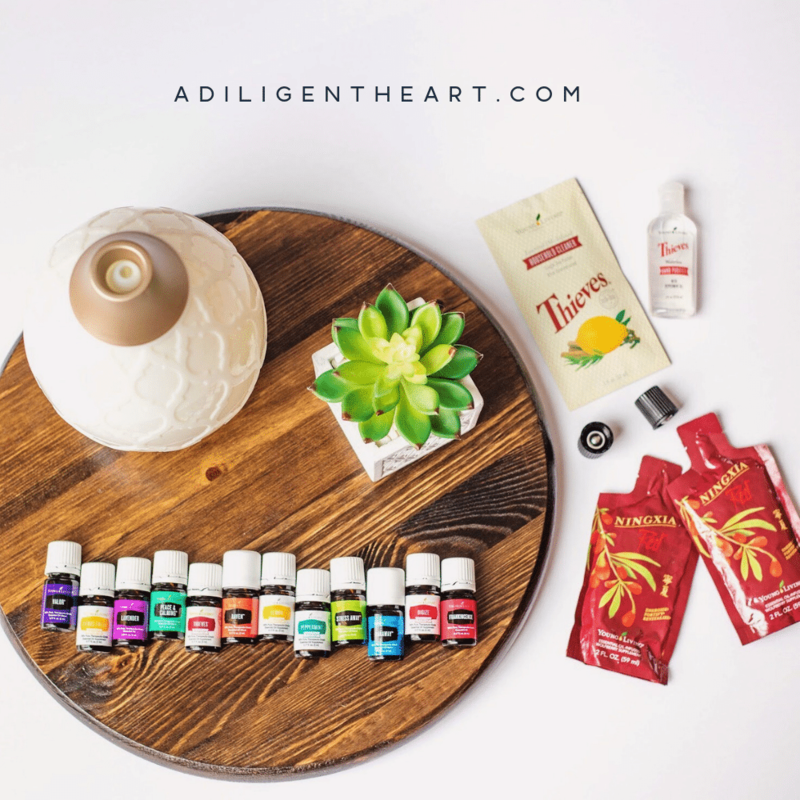 The best advice I can offer is to find five oils in your starter kit that you love, and at least one more that’s not in the kit. Learn a lot about them and their uses. Become comfortable using them. Once you do, and you will, you’ll be ready and confident to keep exploring more oils! Enter this number, 16332291, in the “My Sponsor ID” and “Enroller ID” box. It should populate for you though. you’ll see another box to have this order count as your FIRST ER order! WOOT! Select yes. Now, in STEP 3, you’ll choose WHAT your monthly order will be starting NEXT month. So it doesn’t mean you’re getting these additional things THIS month. 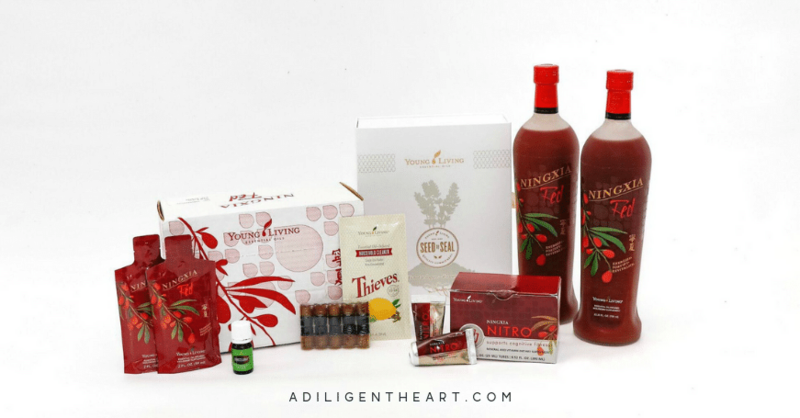 This month your Starter Kit is your ER order. So you’re all squared away with that selection. I’d suggest selecting one of the pre-defined options there vs customizing, unless you already know what you’ll want next month! This way you SECURE the ER process. You can ALWAYS change WHAT comes in your ER order up to 24hrs before it’s set to ship. Shipping is usually the same day every month. So if you do this on the 15th this month, expect your ER order next month to ship on the same day. Enter your information and place your order! You can also contact me via my contact form OR shoot me an email at marlene@adiligentheart.com with any questions! I’m happy to walk you through the process and help you get signed up! Once you sign up under me, I’ll get in touch with you to add you to a private Facebook group called The Living Room. This group is fill with essential oil users from novice to experienced. It’s a fantastic group to ask questions on how to use your oils or what oil can you use for a specific need! It’s also a great group to continue learning since we are all sharing our experience. The group is for women and men, so if you have any questions about oils for the man in your life – you’ll be able to get a lot of great feedback from men who actually use the oils!